I still see it all the time. 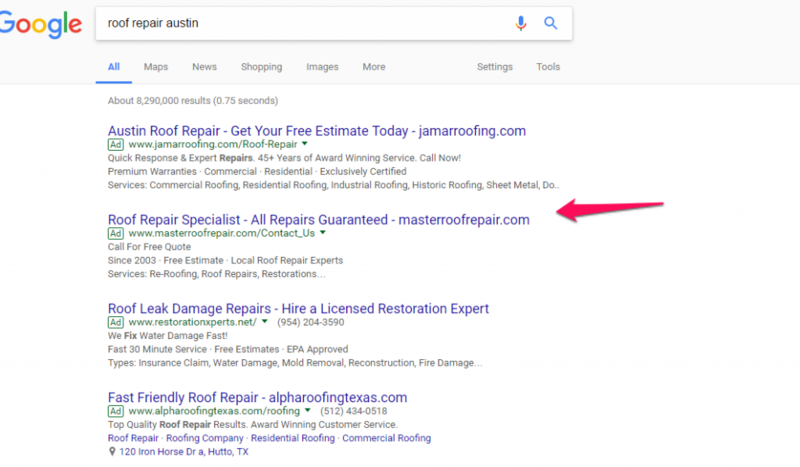 One of the biggest mistakes that roofers make when advertising online is using a homepage instead of a specific landing page for paid traffic. It’s one of the cardinal sins of advertising online. I am not saying that is not been said many times before. Even if the information is out there people will still make this mistake. According to Unbounce, over 98% of PPC campaigns have poor message match. First, let’s define what a homepage and landing page are. Each web page is best suited for different scenarios. In the rest of the post, I’ll provide compelling reasons why a specific landing page is much more effective for paid traffic vs. sending traffic to a homepage. If you are advertising with Adwords it can quickly get very expensive. To get a better understanding of why sending traffic to a homepage is a mistake you have to first understand the behavior of the traffic. There several different types of traffic. Cold, warm, and hot traffic correlate to how well your audience knows your business. You should take into account the traffic channels and how the traffic behaves for each channel. For example, Facebook Ad traffic is different than search engine traffic. When you advertise on Facebook it’s considered disruptive advertising because you are interrupting someone’s newsfeed. When you advertise through Adwords it’s not considered disruptive because people are actively searching for the keyword they typed. Keywords with commercial intent provide traffic that is much further along the buying cycle. For example, when someone searches for the keyword “roof replacement Orlando” they are actively looking for roof replacement services in Orlando. If your ad provides them relevant information they are much more likely to click on the ad. This type of strategy won’t work as well on Facebook because people are not actively searching for these services. However, if you have a good idea of your demographics then your ad can be effective if your message is something that interests them. 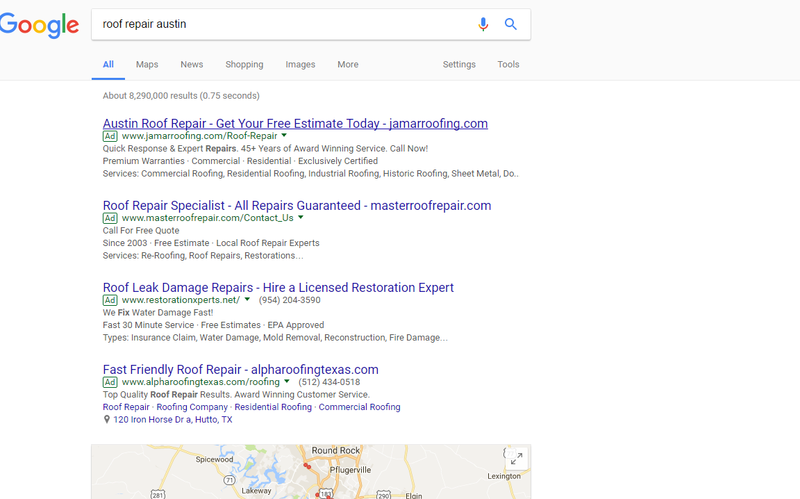 If someone uses Google and searches for asphalt shingles and they click on your ad which takes them to your homepage which has no information on asphalt shingles how would you think they would feel? You are not giving them what they want. By not giving them what they want, you, make it harder for them to trust you. Your Google relevancy score will decrease because your ad is sending them to information that is not relevant. Google will penalize with a lower ad score and you will get dropped in the rankings while at the same time increase your spend. This mistake leads to frustration, negative ROI, and wasted time. There are two main strategies that make or break a successful PPC campaign. Attention Ratio: The number of links compared to the number of calls to action. Message Match: How well your message of your landing page which includes your headlines, calls to actions, and copy matches with the keywords that people searched to land on your landing page. Here some examples of message mismatch. All top 4 results paid to get to the top. The only ad that matches the keywords that I chose is the top Ad. Google calculated this result because it’s the most relevant. This landing page is better than the competitors in this area but it still needs some work. The message match is not the best. I don’t see the keywords in the headline. There are also a lot of links throughout the page that will distract users. It gives a lot of general information about their services. It’s well designed but it has a lot of clutter. This is just the home page. 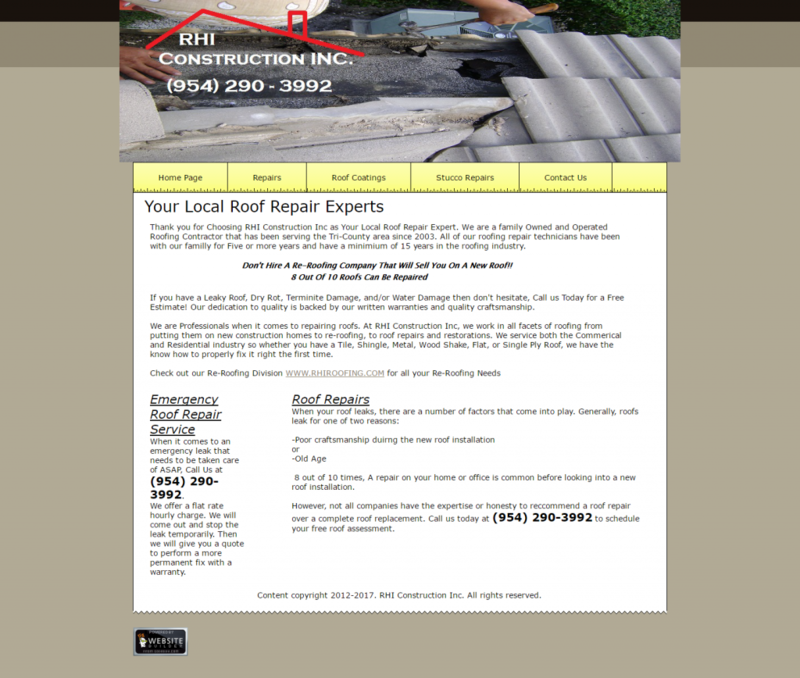 The copy does have the keywords (roof repair) that I was looking for but it’s missing several things. The average CPC (cost per click) is $15.50. Let’s say that the average conversion rate of a landing page is 5%. A good landing page should have between 20-50% conversion rates. This means it takes about 20 clicks for a conversion. 20 multiply by $16 and the average cost per lead for this keyword is $320. And, the best part is that this landing page doesn’t even have a call to action. This campaign is literally throwing money down the drain. If you just increase the conversion rates of the landing page by 5% you’ll decrease the cost per lead to $160. Are you beginning to understand the power of conversion optimization? It’s clean and simple and the message matches much better with the keywords. It has the benefit-driven copy, trust elements, and a single call to action. The only thing missing is a few testimonials that will add trust to the message. Of the three landing pages that I examined, I like this one the best. The first one is full of clutter, the second is a disaster (straight to the homepage), and the third is the cleanest. I won’t go into all the details on what makes a good landing page. I will save this for another post. But for now, I’ll provide you with the two main elements of a high converting landing page. Conversion focused design and benefit-driven copy. Benefit Driven Copy- What’s in it for them? How do you feel about homeowners inspecting their own roofs? Do you think that’s a good idea? Do you think they can miss something? It’s the same effect when you are trying to do the marketing yourself or hiring an intern to do the other work. Pros hire other pros. It’s as simple as that. It doesn’t matter what channel you choose to advertise online. They all work. You just have to implement the right strategy for each channel and you will get a solid ROI. And, the only way to figure out the best strategy for your business is to invest thousands of dollars in learning to do it yourself or hiring someone else to do it for you. If you want to take a shortcut and increase your level of success you should hire someone who has done it before. And, sending traffic to a homepage is something that you need to avoid. In summation, don’t make the silly mistake of sending paid traffic to a homepage. You are throwing your money down the drain. The right message match and a simple and clean attention ratio. 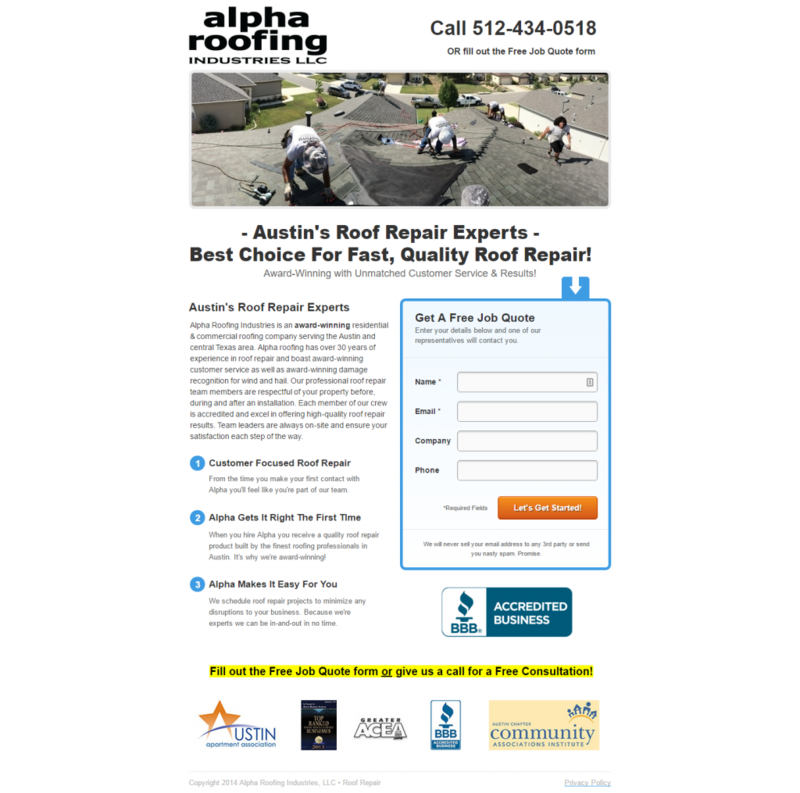 PPC campaigns on Facebook and Adwords are expensive and competitive in the roofing industry. You want to maximize your dollars never send paid traffic to a homepage. Need Help In Getting More Roof Replacemet Customers? I agree that this is a big mistake when pushing traffic to a website a dedicated landing page should be used for PPC Marketing.